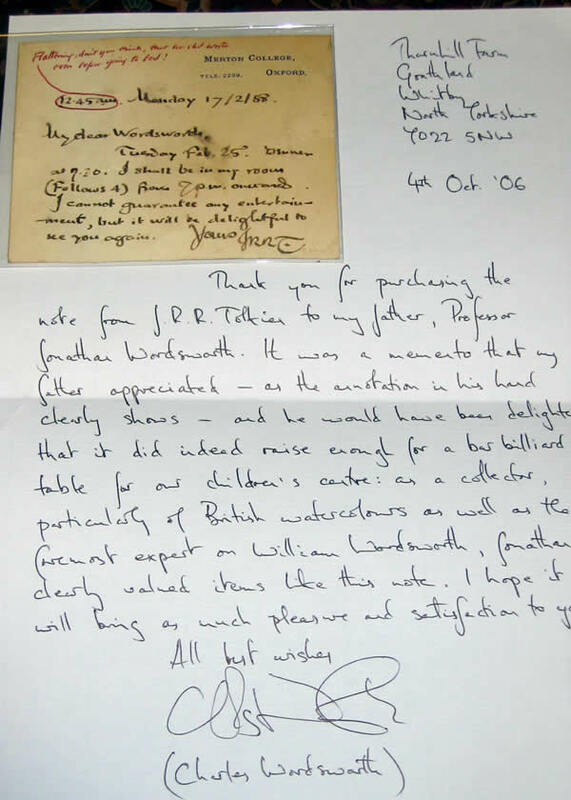 Signed Note on Merton College, Oxford Stationary, Dated Feb 17, 1958 - $2,000.00 A lovely piece of ephemera, with a handwritten letter from his son, to authenticate the note and explain the relationship between his father and Tolkien. A note from J.R.R. 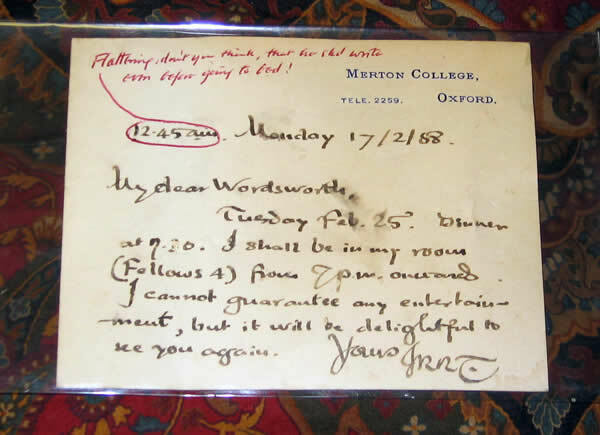 Tolkien to a colleague, dated Feb 17, 1958, on his Merton College, Oxford stationary. 'My dear Wordsworth, Tuesday Feb. 25. Dinner at 7:30.